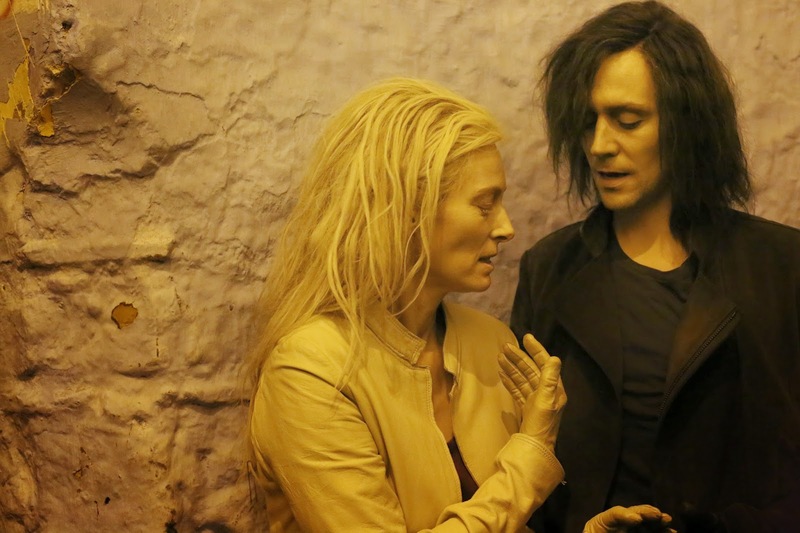 The vampires offered up in Only Lovers Left Alive are extensions of the concept as I've long imagined and understood them: they're beautiful jaded old rock stars, wise to the ways of the world and disheartened by its dull repetitions. Though the Twilight franchise may have bruised the reputation of the long-suffering monsters, they've long remained my favorite undead beasties on the supernatural spectrum. The vampire speaks to something more and less human than human, to our addictive natures, our desire to consume, to be forever young, to seek out the thrill of the new. We see this translated, time and again, into characters who thrillseek to break monotony or who love obsessively, repeatedly, consuming emotions just as readily as they drink blood. Jim Jarmusch picks up all the past strains of vampirism, scrapes off the detritus, and brings us back to the simple basics: vampires as lonely, as seductive, as pale, spindly things, as blood-thirsty, as surviving in shadow, as hermits cooped up with the remnants of past lives. If nothing else, we must thank Only Lovers Left Alive for resurrecting just that, for making the vampire cool again, and for reigniting that old flame: vampire + leather + rock and roll + a sick pair of sunglasses = love. The version of the vampire currently dominating their pop cultural niche is one that doesn't seem to play well with Jarmusch's trademark style. We've become accustomed to action flicks and melodramatic romances, places where overcooked makeup and special effects are whipped up into a teenage fantasia of violence and sexual angst. A version of that vampire is here, represented in Mia Wasikowska's character, Ava, but even she is perverted and polluted, made into a junkie ghost, a petulent runaway. She shows up relatively late in the film, as a point of conflict for our central lovers -- her sister, Eve (Tilda Swinton) and Adam (Tom Hiddleston). Eve and Adam count among the silently vampiric, the high culture aesthetes who've become oddly regal in their decrepitude. In them, we find characters who fit the Jarmusch mold seamlessly. He's made a career focusing on tales of outsiders and observers, and in film after film we find loners, wanderers, and people on the societal fringe. Adam and Eve are textbook Jarmusch, revealing, suddenly, the way in which all of Jarmusch's oeuvre has served -- in some ways -- as a taxonomy of the vampire. In the Only Lovers Left Alive edition of the Jarmusch taxonomy, we find a fusion of loves: music triumphs over all, literature takes a second seat, and there's an interest in the place where art fuses with culture fuses with what it means to live. Adam and Eve are each obsessive in their own ways. Adam is a shadowy rock god, a figure who has locked himself away in a ramshackle house in the ruins of Detroit. There, he collects guitar after guitar, album after album, while the borders of each room pile up with pieces of outdated technology. He collects through a human familiar, a single trusted "dealer" of sorts (Anton Yelchin) who brings him museum-worthy instruments in exchange for wads of cash and conversation. Eve, meanwhile, has housed herself in Tangiers with stacks and stacks of books, and it's here she down shots of blood and lounges in luxurious kaftans. The two have been living separately, but communicating constantly, and it's here we see their essential differences. Where Eve seems to embrace the new, to have some kind of enthusiasm for the changes that life brings and the possibilites of human ingenuity (she uses an iPhone and mixes contemporary fiction in with ancient texts), Adam is hold up and bitter. He runs his video chat through a system of antiquated wires to an old tube television screen that transmits images of his lover of a degraded quality, lines of static coursing through them as he sits in a centuries old robe. In Adam, we find a character both embittered and oddly hopeful. He refers to human beings as "the zombies," and speaks in despair of how we're ruining our world. This is a sentiment repeated at several points during the film, and when Eve reconnects with Adam in Detroit, Jarmusch allows the pace of the film to slow nearly to a halt. What proves to be especially important here is the act of noticing and the act of appreciating. Adam despairs over the conditions of our cultural landscape where Eve seems to still wonder at what's possible, and what's changed. Curiously, though, the things that Adam clings to, loves, and looks to for hope are -- more often than not-- products of his human heroes; of masters, geniuses, and plain people still capable of making something wonderful. The vampires see these things. They move slowly, never die, and are sensitive to the movements of the world. That we so rarely do see is our tragedy, and this is what makes us zombies. It's right there in the title, of course. The only people left truly alive, truly capable of living are those who love. Sometimes each other, sometimes just things; music, words, paintings, experiences. 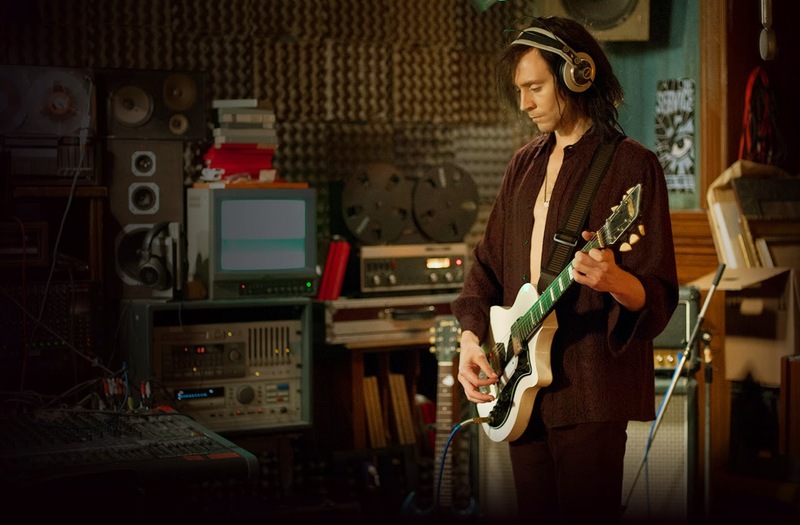 Only Lovers Left Alive hammers this home, sometimes with an instrument that feels too heavy, too obvious, and which comes with an eyeroll. There are some stilted moments here, some heavy allusions and very silly lines. Ultimately, though, its poetic faux-intellectualism is smart enough to sustain a close reading, and this is the stuff of an immediate cult classic. I didn't enjoy OLLA as much as you seemed to have, but I love your review. Especially the bit about your opinion on humans and why Adam kept referring to them as zombies. You make a lot of sense.